For those of you who were with us for the journey last year, we’re glad to have you back! We’ve kicked off our 6th Cohort of The Mentor Network and are thrilled to dig in deeper with each of the founders. Within this Founder Feature Series, we chat with the founders of the 6th Cohort of The Mentor Network to learn more about them as individuals, as well as their entrepreneurial journeys. They have some great wisdom and experience to share with the rest of the community! 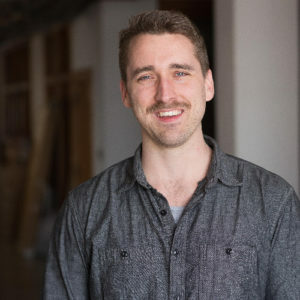 If you’ve been in the startup community, there’s a good chance you’ve met Kyle Smith. However, today we get to know Kyle in the context of Founder of Determination, Incorporated! Kyle has participated in both E-Scholars and Midwest Center for Nonprofit Leadership, among other programs. Kyle also runs the Own It podcast as part of his efforts to spread his mission and answer his central question — can entrepreneurship help to reduce recidivism? Determination, Incorporated is a Kansas City-based nonprofit creating a “felony-friendly” path to entrepreneurship. The nonprofit takes a community-based, story-led approach to help currently and formerly incarcerated people adopt the entrepreneurial mindset in order to re-enter their communities successfully, stay out of incarceration, start businesses and become job creators. I’ve been active in KC’s entrepreneurial community for the past couple of years as a part of the team at KCSourceLink and a community organizer at 1 Million Cups KC. 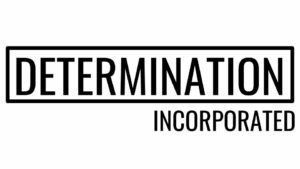 Determination, Incorporated is a new nonprofit creating a “felony-friendly” path to entrepreneurship. We work with currently and formerly incarcerated people to help them pursue their business goals. I started Determination, Incorporated, because I believe very deeply that many of our brothers and sisters coming home from incarceration have what it takes to start viable, hiring businesses that can solve problems and create value in their communities. What was your first milestone/win that let you know you were on the right track to build this business? I launched my business support group for formerly incarcerated people, Be the Boss, in January 2018. Thanks to the support of Kansas City’s reentry community sending referrals, >30 people have already gone through the program. Having the opportunity to slow down and connect with my fellow founders was invigorating and nourishing. I’m on track to fill one big one! Anyone who is pursuing entrepreneurship (or even just thinking about it) should call up KCSourceLink and learn about the myriad resources available to them: 816-235-6500. There’s something for everyone! And I have been so blessed by the classes and support of the Midwest Center for Nonprofit Leadership. If you think you want to start a nonprofit, plug into their offerings. . . now! The Levitt Challenge was a HUGE help in getting me to where I am today. I’ve done the Determination, Incorporated journey the right way. Now, past entrepreneurial journeys haven’t gone quite as smoothly. To that guy, I would say. . .
Get plugged in! And lead with value and an open heart and mind. Follow Determination, Incorporated via Facebook, Instagram and Twitter!